Do you have a special treasure? We have worked with many different items and have preserved them into beautiful, meaningful lamps for our clients. 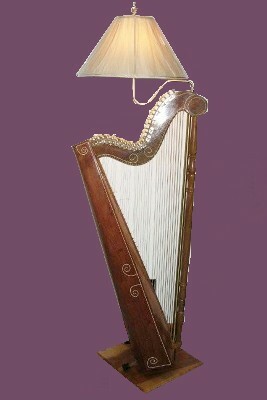 One Customer brought in her retired unplayable harp to be made into a lamp that she now enjoys daily with fond memories. A 72 year-old woman played this beloved French horn since a child. An accident dented it. She loves her lamp, dents and all! We are willing to work with you to design your treasure!